On Saturday, June 2nd 2018, the Vancouver Sun newspaper published an op-ed article co-authored by four members of the Partnership for Water Sustainability’s leadership team, namely: Kim Stephens, Ted van der Gulik, Tim Pringle and Peter Law. The article is reproduced below. 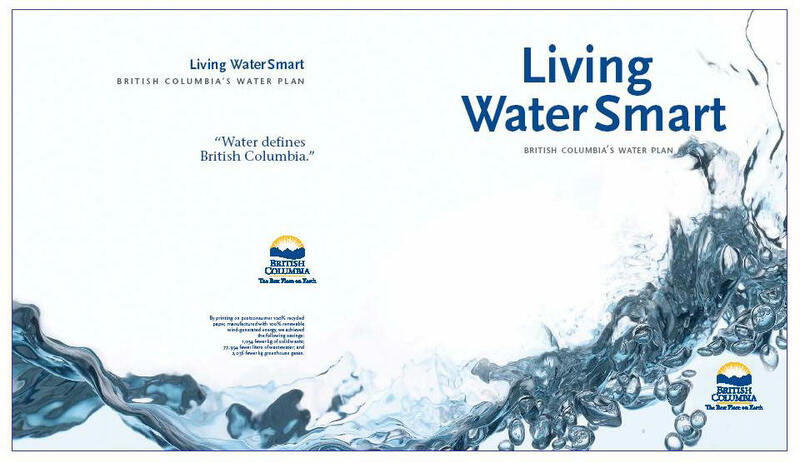 Water defines British Columbia, and the rhythms of water are changing – winters are wetter and warmer; summers are longer and drier. Flood, drought, fire, wind and cold – extreme events are the New Normal. We are at a tipping point. When will communities adapt, and how? “On the 10th anniversary of its release, we celebrate transformational initiatives set in motion by Living Water Smart,” wrote the four co-authors. The hard work of hope has resulted in a policy, program and regulatory framework that enables community-based action to adapt to the New Normal. Living Water Smart successes are defined by collaboration and a “top-down / bottom-up” approach. This brings together decision-makers and community advocates. “This is why we constantly emphasize that Living Water Smart is about motivating and inspiring everyone to embrace shared responsibility. Influencing behaviour and attitudes is at the heart of moving from awareness to action,” added Kriwoken. The legislative piece is the Water Sustainability Act, one of several game-changers. A historic achievement, the Act recognizes the connections between land and water – what happens on the land matters! “All land and water managers will know what makes a stream healthy, and therefore be able to help land and water users factor in new approaches to securing stream health and the full range of stream benefits”. Another game-changer flowing from Living Water Smart is “Asset Management for Sustainable Service Delivery: A BC Framework”. Led by Asset Management BC, the BC Framework sets a strategic direction for local government service delivery. It refocuses business processes on how physical and natural assets are used to deliver services, and support outcomes that reduce life-cycle costs and address risks. Sustainable service delivery by local government occurs alongside associated evolution in community thinking. By managing the built and natural environments as integrated systems, local governments would incrementally move towards a water-resilient future as an outcome. Hydrology is the engine that powers ecological services. Thus, integration of the Partnership’s work within the BC Framework should accelerate implementation of the whole-system, water balance approach at the heart of the Partnership’s “Sustainable Watershed Systems, through Asset Management” program. B.C. communities can adapt to the New Normal. They can create a water-resilient future where flood and drought risks are reduced. 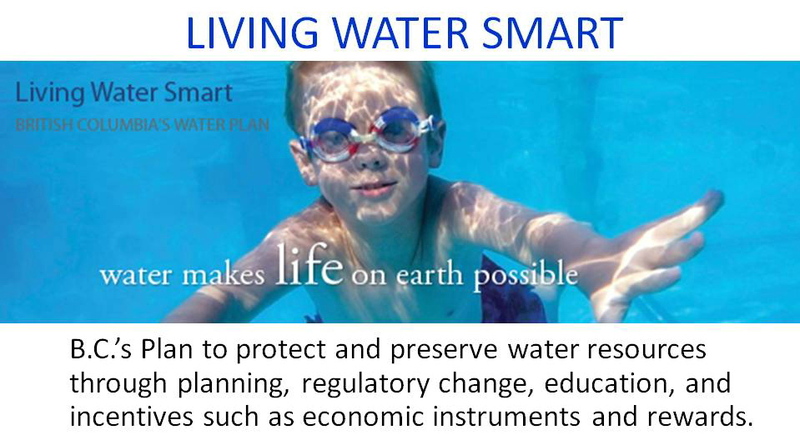 As a result of initiatives inspired by Living Water Smart, we have tools and experience to “get it right”. So, through collaboration and commitment, together let’s make it happen – sooner, not later!